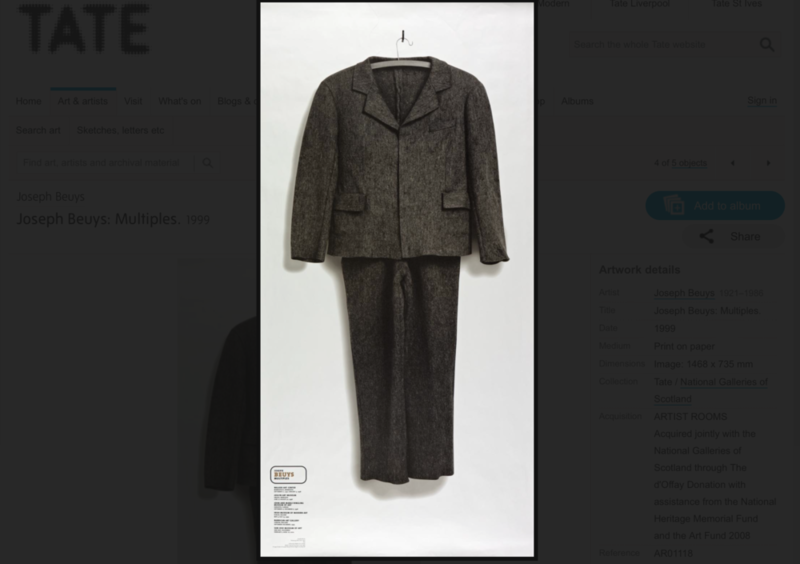 From Artsy to the Walker Art Center, Rhizome to the Tate, digital and digitized collections of art have come a long way. Check out some of our favorite online repositories. 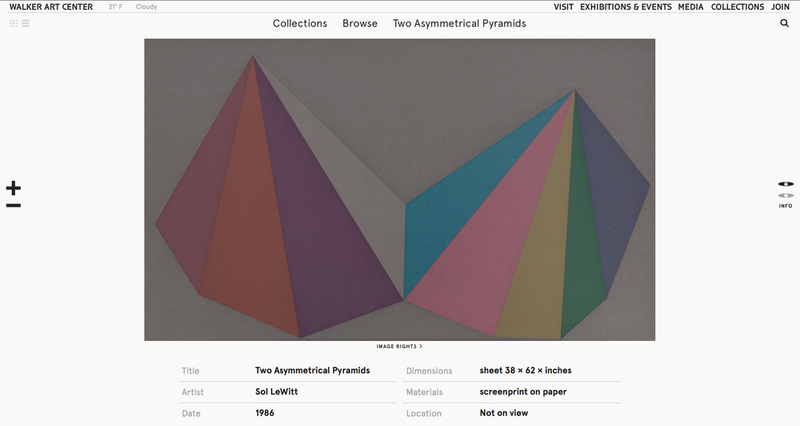 For a larger format perusal of the galleries, click HERE. 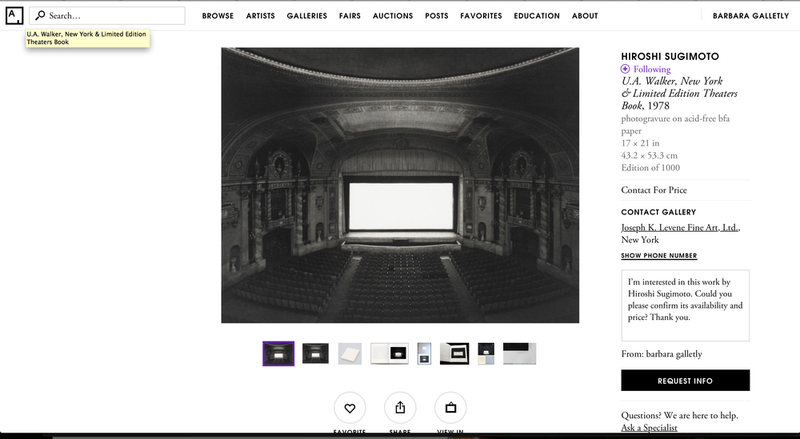 Hiroshi Sugimoto's artist page at Artsy; Sugimoto, U.A. Walker, New York & Limited Edition Theaters Book on Artsy; Michael Mandiberg, AfterSherrieLevine.com on Rhizome's Artbase; James McNeill Whistler, Lady in Grey at the Met's Heilbrunn Timeline of Art History; Bernd and Hilla Becher's Framework Houses in MOMA's Collection; Josef Beuys, Felt Suit at the Tate; Masao Yamamoto,Kawa=Flow, #1543 at Artsy; Sol Lewitt, Two Asymmetrical Pyramids at the Walker Art Center's Online Collection; Unknown, Rubber beauty masks, worn to remove wrinkles and blemishes; modelled by two women at a typewriter, at the Wellcome Library; Gerhardt Richter,Grau at Gerhardt Richter. And please share your own favorites in comments!